In 2009, the Open Architecture Network invited students, teachers, and designers to work together to create schools for the future. Design teams were challenged to draw plans and renderings for spacious, flexible, affordable, and earth-friendly classrooms. Hundreds of entries poured in from 65 countries, offering visionary solutions for meeting the educational needs of impoverished and remote communities. Here are the winners. Learning extends beyond the classroom walls in this flexible design created for Teton Valley Community School in Victor, Idaho. The first place winner was designed by Emma Adkisson, Nathan Gray, and Dustin Kalanick of Section Eight Design, a collaborative studio in Victor, Idaho. The estimated costs of the project was $1.65 million U.S. dollars for the whole campus and $330,000 for one classroom. The Teton Valley Community School (TVCS) is a non-profit school in Victor, Idaho. The school is currently run out of a residential building located on a 2-acre site. Due to space constraints, the school has half of its students located at a satellite campus nearby. While TVCS is a place where children are encouraged to use their imaginations, play outside, express themselves creatively, and develop their own hypotheses and work together to solve problems, these makeshift classrooms converted from residential use, lack of space and an environment ill-suited for learning, impede students’ opportunities. The new classroom design not only provides a better teaching space, but also extends the learning environment beyond the four walls of the classroom. This design demonstrates how architecture can be used as a learning tool. For example, the mechanical room that can be seen from the science lab informing students about the functioning the heating and cooling in the building or the movable panels in the classroom that allows to students to reconfigure their space as needed. The design team held a series of workshops with students, teachers, parents and other community members to begin to decipher the requirements of the school, while simultaneously keeping the needs of the developing neighborhood in mind. This process led to the development of spaces that could immediately serve both the school and the surrounding community. During the course of the workshop the students were very keen on including the outdoor spaces into the learning environment reflecting the lifestyle of the Teton valley community. As the students grow up so close to nature, it was instrumental that the design responds to this requirement. Place-based learning is enhanced by working with farm animals, gardening for sustenance, and participating in local field trips. Simple Ugandan building traditions combine with innovative engineering in this award-winning design for a rural African school. 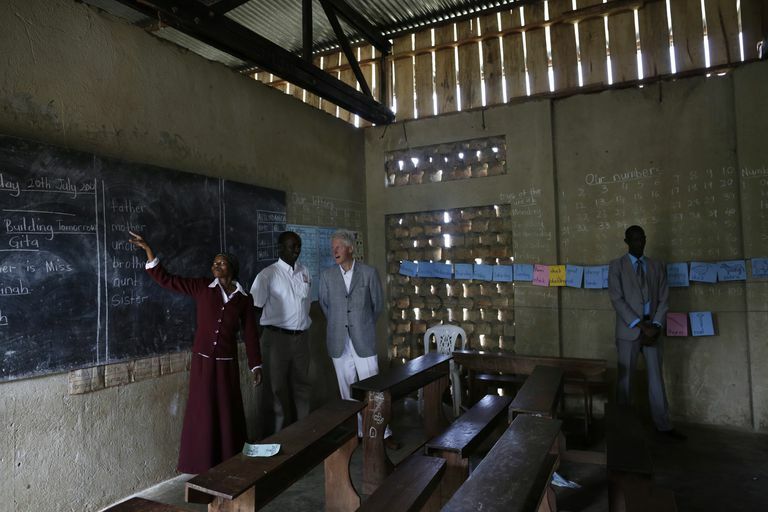 The Building Tomorrow Academy in Wakiso and Kiboga Districts, Uganda was named Best Rural Classroom design in the 2009 competition — a win that caught the eye for funding from the Clinton Foundation. 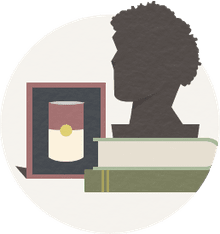 Building Tomorrow is an international social-profit organization encouraging philanthropy among young people by raising awareness and funds to build and support educational infrastructure projects for vulnerable children in sub-Saharan Africa. Building Tomorrow partners with educational institutions in the U.S. for fund-raising and collaborating on building projects. We proposed a simple design, easily replicable and capable of being built by the local community in a short period of time. The classroom is optimized for flexibility and for use as a repeatable building block in a larger school. The classroom blends vernacular Ugandan architecture with innovative techniques to provide a comfortable, stimulating and usable environment. The design is enhanced by innovative features such as a solar roof passive ventilation system, and a hybrid brick and daub building envelope that provides low cost low carbon thermal mass, with integrated seating and planting. The school building will be constructed from locally available materials and recycled objects, and built using local skills. Sustainability is the balance of the social, the economic, and the environmental. We have enhanced a simple form with features that optimize this sustainability for a rural Ugandan classroom and can readily be applied to future designs. The classroom becomes the community in this award-winning plan for remodeling a Rumi school in the city of Hyderabad, India. The Rumi School of Excellence won the Best Urban Classroom Design in 2009. Rumi's network of schools is improving the life opportunities of India's children through affordable quality education that breaks out of the standard rote educational model and expands into the community. The re-imagining of Rumi’s Hyderabad Jiya school, as the Jiya Community School, involves all stakeholders in a child's education - the child, mother, teacher, administrator, and neighborhood community. Learning happens in and beyond the boundaries of the school day and building. Learning is social, and it involves the whole family. Develop ways to engage parents and build partnerships to bring resources and knowledge to the school. Design ways for everyone in the community to learn, so students see learning as a way of participating in the world. A school’s success is created by school owners, teachers, parents and children—this success should benefit all involved. Build an environment where teachers are empow­ered to shape their classroom. Shift the conversation from prescriptive rules to flexible guidance. Helping children succeed in tomorrow’s world means helping them find their strengths in new ways. Its no longer just about tests— creative thinking, collaboration and adaptability are core capabilities of the global economy. Engaged learning means finding opportunities for children and teachers to learn by connecting to life outside school. Extend the spirit of entrepreneurship. Running a private school in India is a competitive business. Growing the business requires educational and organization skills, as well as business and marketing savvy—and enthusiasm. Extend these skills and energies into every fiber of the school—the curriculum, the staff, the tools and the space. Spatial constraints and limited resources don’t have to be a limiting factor. Constraints can become a design opportunity through programming, materials and furniture. Multi-use spaces and flexible infrastructure can maximize limited resources. Design for flexibility and encourage customization with modular components. Landscaped features connect the school with the environment in an award-winning design for the Waldorf Educational and Social Corporation in Bogota, Colombia, winner of the Founders' Award. The Corporación Educativa y Social Waldorf was designed by a team including Wolfgang Timmer, T Luke Young, and Fabiola Uribe. Ciudad Bolívar situated in the southwest of Bogotá has the lowest socioeconomic indices and "quality of life" conditions in the city. Fifty-one percent of the population lives on less than two dollars a day and the highest number of people displaced through Colombia's internal conflict are found there. The Corporación Educativa y Social Waldorf (Waldorf Educational and Social Corporation) provides educational opportunities to 200 children and youth, free of charge, and through its work benefits approximately 600 people represented by the students’ families, of whom 97% are classified in the lowest socioeconomic index. Because of the efforts of the Waldorf Educational and Social Corporation, children between the ages one and three (68 students) have access to preschool education and proper nutrition while children between six and fifteen (145 students) have access to an after-school program based on Waldorf pedagogy. Using art, music, weaving and dance workshops, students are encouraged to develop knowledge through sensory experience. The pedagogical foundation of the school is based on Waldorf education, which adopts a holistic approach to childhood development and the nurturing of creativity and free‐thinking. The team worked jointly with teachers and students at the school through a series of participatory workshops. This helped everyone involved in the design process the importance of engaging the local community both through the school programs and architecture. The classroom design not only addresses the curriculum being taught but also emphasizes the need for a safe play space. The proposed school design connects the school more closely to the community and the natural environment through the landscaped features of an amphitheater, a playground, a community garden, terraced accessible walkways, and conservation management initiatives. Utilizing ecologically responsive materials, the Classroom of the Future creates two new levels where artistic stone, wood, weaving, music and painting classes are held. The classrooms are covered by a green roof providing areas for environmental education, open air learning, and musical performances. Druid Hills High School, Georgia, U.S.
Biomimicry inspires the design of award-winning "PeaPoD" portable classrooms for Druids Hills High School in Atlanta, Georgia. Named Best Re-Locatable Classroom Design in 2009, the school was designed by Perkins+Will. who in 2013 went on to establish a learning environment for the 21st Century they call Sprout Space™. In the United States, the primary function of portable classrooms has been to provide additional educational spaces to existing school facilities, most often on a temporary basis. Our school partner, Dekalb County School System, has been using portable classrooms in this way for years. However, these temporary solutions are being used increasingly to solve more permanent special needs. It is becoming common for these aging and poor quality portables to stay at the same location for over 5 years. Conceiving the next generation portable classroom begins with a holistic assessment of what these structures are used for, how they work or don't work, and how the end users can benefit from improving the standard. Portable classrooms serve unlimited functions for unlimited conditions. By using the basic concept of a portable classroom while modifying the basic design and components, the potential for creating substantially better learning and teaching environments can be achieved. A Portable Educationally Adaptive Product of Design: The pea is a simple dry fruit, which develops from a simple carpel and usually opens along a seam on two sides. A common name for this type of fruit is a "pod". Function and parts: Seeds develop within the confines of a pod whose walls provide numerous functions for the seeds. Pod walls serve to protect the seeds during development, they are part of the pathway that delivers nutrients to the seeds, and they can metabolize storage products for transfer to the seeds. The PeaPoD portable classroom implements cost-conscious building materials to create a learning environment, which can be adapted to any environment. With generous day-lighting, operable windows, and natural ventilation, the PeaPoD can operate with significantly lower utility costs while at the same time providing a wonderful and refreshing educational experience to the students and teachers.